I love to extend any holiday and make it a week long or month long celebration, but with 4 tiny kiddos, it is really hard to do big projects. 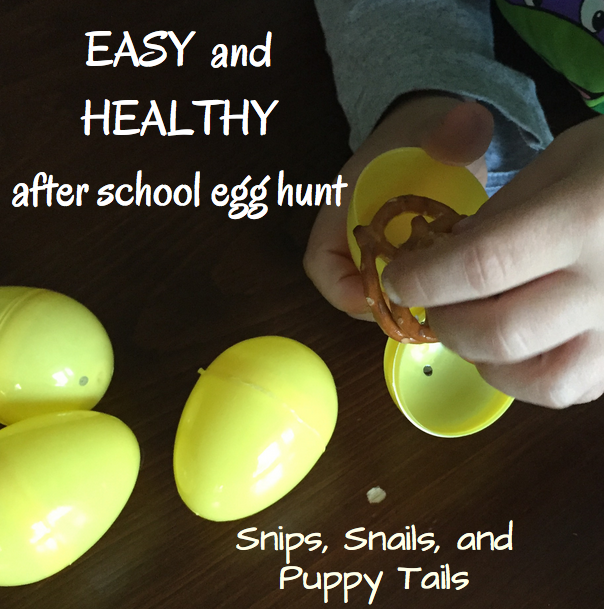 I wanted to have some Easter fun without all the fuss, so I thought of this super easy after school egg hunt! Today, I told them go hunt for your snack, and they LOVED it! After dropping off my oldest at school, I told my 5 year old if he cleaned the living room, I would have a fun egg hunt for them after school. Shockingly, he picked up everything WITHOUT one complaint!! This is miraculous! Anyways, while he cleaned, I cut up all the snacks. He then helped me fill the eggs with healthy snacks for an after school egg hunt. We used raisins, pretzels, apples, and string cheese. You can use anything! These are some other ideas I had: grapes, cut carrots, Pirate’s Booty, popcorn, cutie slices, blueberries, tiny PB&J sandwiches…the list can go on! While filling the eggs, we extended this activity into learning and fine motor work. 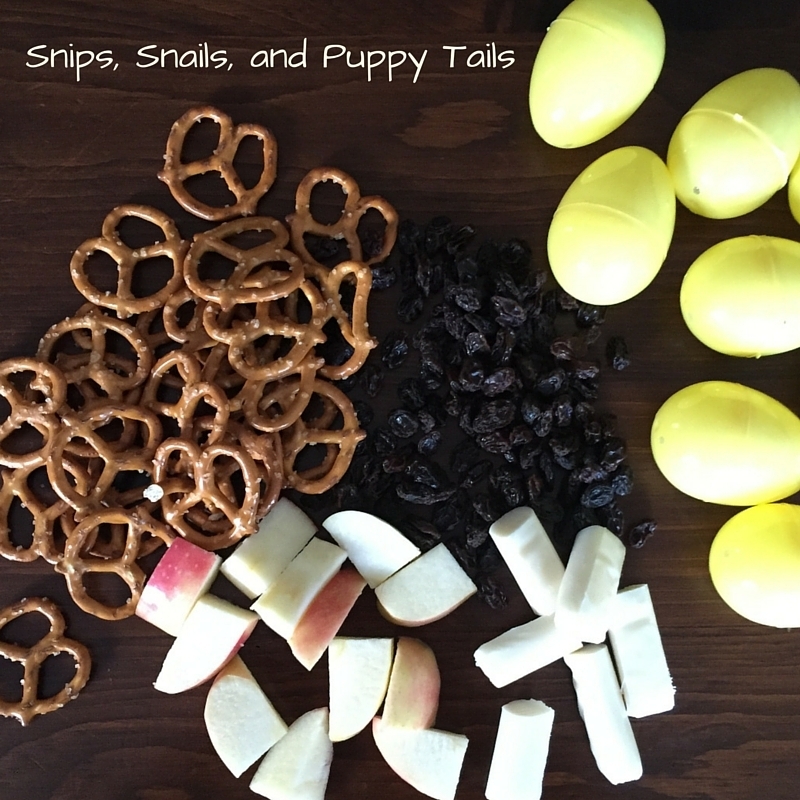 We counted the eggs and snacks to figure out how many snacks should be in each egg. We also wrote everyone’s names on a few of the eggs to make it fun. This can help younger kids with name recognition. If you wanted to extend it further, write one letter of your child’s name on each egg. Every child must spell their name with the found eggs. If there is an A in their name, they can keep the egg with an A on it. You can do this with spelling and sight words too. You can also use this hunt as a way to work on colors. Each child needs to find 4 yellow eggs and 3 blue eggs. You can even give them a little handwritten check sheet to make it more official. Get creative! Having fun with your kids does NOT have to be a lot of work! You can even have the kids hide the eggs if you’re not feeling it, but I really wanted to see the looks on my kids’ faces when I told them to go hunt for their snacks when they came home from school! If you liked this idea, follow us on Facebook for all things boys, parenting, marriage, and special needs!